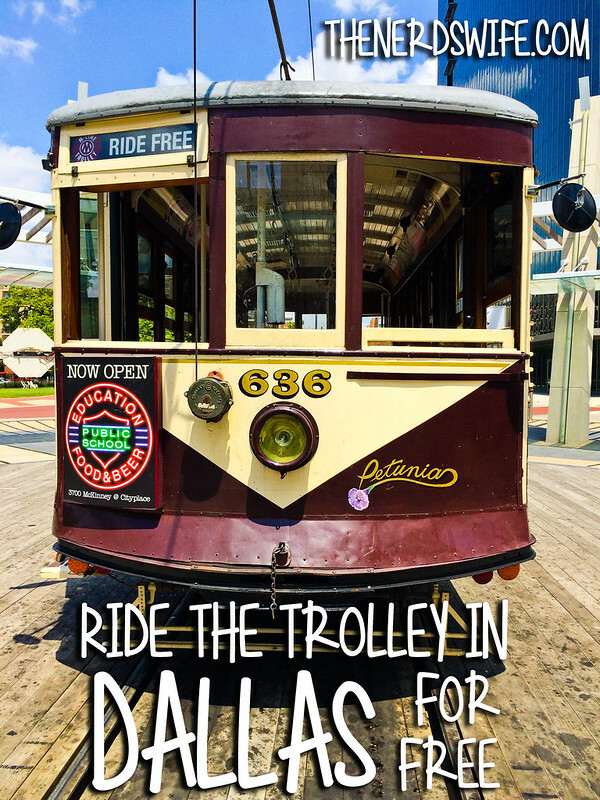 Did you know that you can ride the Dallas Trolley for free? 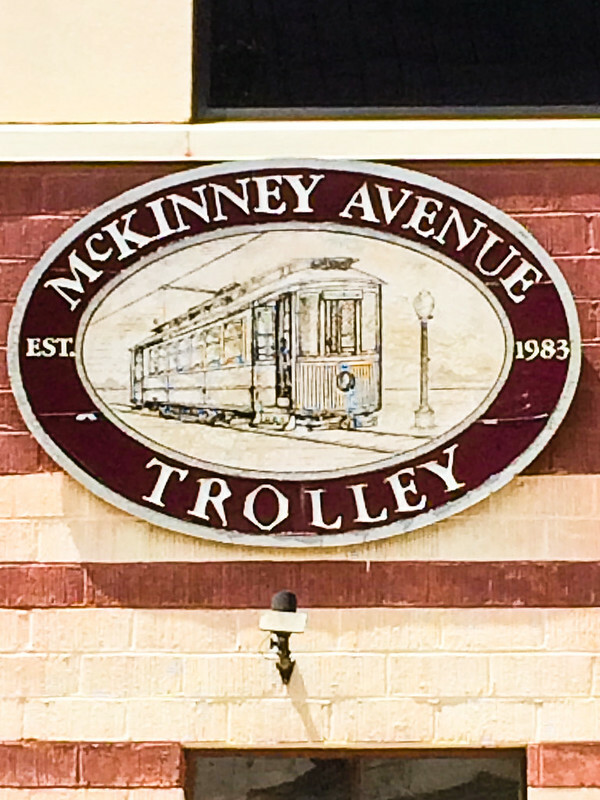 Ever since we moved here, I’ve been wanting to take Andrew to ride the McKinney Avenue Trolley. Last week, we made a day of it and headed downtown to catch a ride. 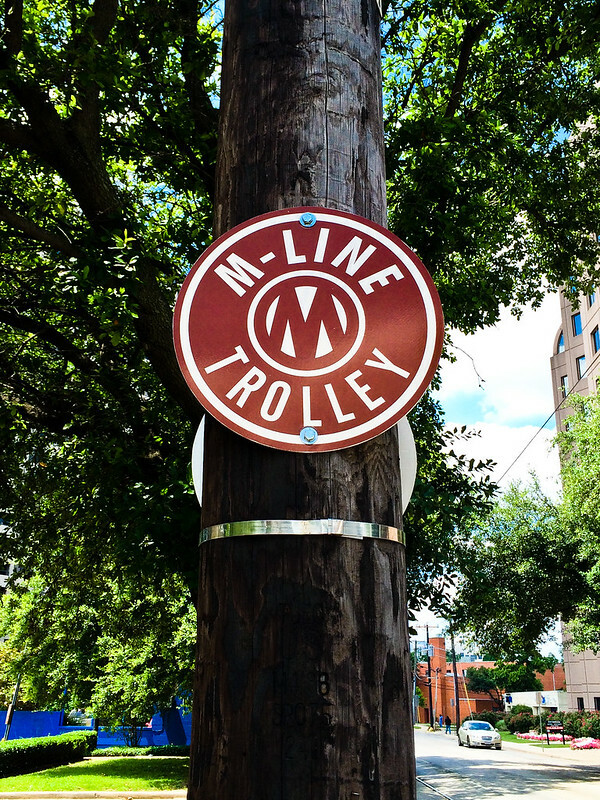 I wasn’t quite sure where the best place to jump onboard would be, so I headed to the address listed for the McKinney Avenue Transit Authority. There was a trolley stop just a short walk away. We jumped aboard and our journey began. 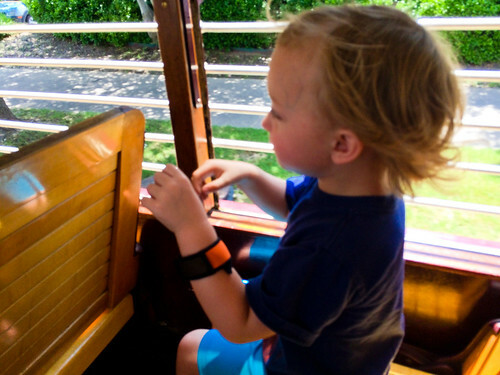 The clackity-clack of the trolley car along the tracks resonated throughout — every bump a reminder of a time long since past. As the wind whipped through the open-air of the car, Andrew giggled. He loved every minute of it. We soon arrived at Uptown Station, where a turntable spins the trolley around to go the opposite direction. Andrew LOVED that part! 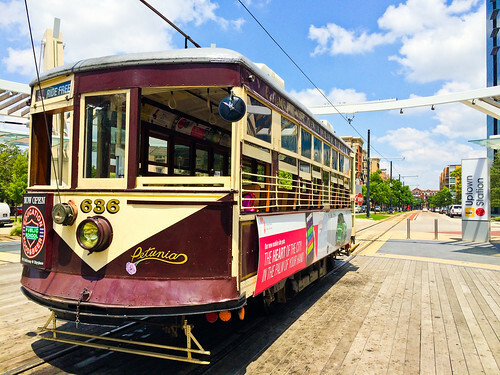 It was really cool, and we took some time to snap a couple of photos with the trolley. 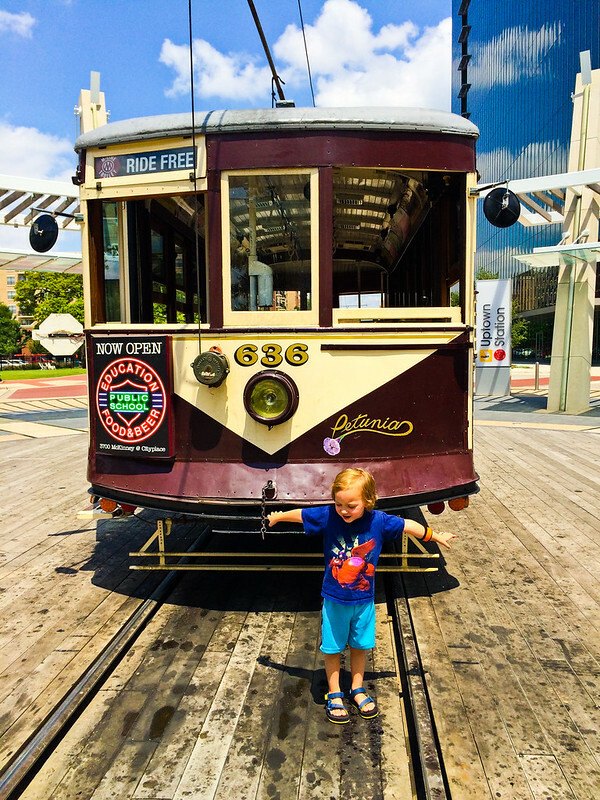 If you want to make a fun day trip, catch the trolley at Uptown Station then ride for a bit to Klyde Warren Park. Get out, spend some time at the fountain and on the playground, then catch a ride back to Uptown Station. You could even bring your dog along for a ride! Well-behaved dogs are welcome aboard, according to the MATA website. 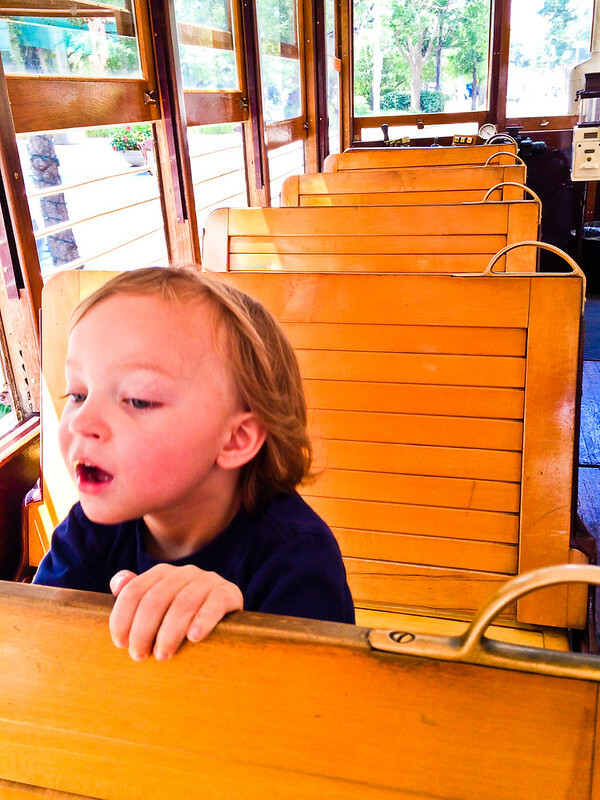 We found the trolley empty on the ride to Uptown Station, and then it filled up along the stops after that. I’d recommend getting aboard as early as you can. It took about 55 minutes from the time we boarded to ride along the line and get back to our initial stop. We rode during a weekday, though, so make sure to check the schedule if you will be riding on the weekend. Looking for more fun things to do in Dallas? 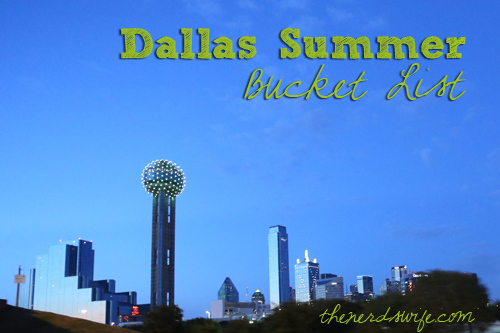 Check out our Dallas Summer Bucket List! So fun! I don’t think I have ever ridden it! Great idea though!